As a Registered Training Organisation (RTO code 40647) we are approved by ASQA to deliver nationally recognised training under the Australian Qualifications Framework (AQF). Our courses include qualifications (Certificate IV and Diploma level) as well as stand alone units of competency. We offer training through distance learning as well as face to face classroom and hands-on training. Our nationally recognised training courses are run as both public scheduled courses and private courses on demand. Click on the + icons below to expand and read more about each course or go to our course calendar for dates. You can book now and pay later, or complete a secure online credit card payment now. If you have any questions about these or our other courses, please contact us - we are always happy to help. The qualification UEE41211 - Certificate IV in Electrical - Rail Signalling will provide you with the knowledge and skills to start your career as a signal electrician or signal technician. The course includes all aspects of signalling installation and maintenance. Signalling principles, track circuits, points, track side equipment, computer based interlocking, non-vital communications, fault finding and problem solving techniques will all be covered. The Broadmeadow training centre has been custom built for the delivery of this course and provides students with the opportunity to develop their skills and confidence in a safe, controlled environment. This course has been designed for electricians who have completed or are enrolled in UEE30811 Certificate III in Electrotechnology - Electrician and provides specialist knowledge in the area of rail signalling. Our rail signalling trainers are senior signal engineers and experts in their field. They remain active in industry and have extensive experience applying current skills and knowledge in the live railway environment. We also provide recognition of prior learning (RPL) for individuals with current industry experience. UEE41211 Certificate IV in Electrical - Rail Signalling is suitable for tradespeople such as electricians, signalling installers/certifiers, signal technicians, signal electricians and apprentices. If you have experience in rail signalling but no formal education, the Certificate IV in Rail Signalling can provide you with the skills and knowledge to further your career and job opportunities. With the wider adoption of national Rail Safety Law, many operators now require this nationally recognised qualification for those undertaking rail signalling installation and maintenance roles. The course is suitable for those currently working in the railway signalling environment. This course is appropriate for technicians or electricians who have completed or are enrolled in UEE30811 Certificate III in Electrotechnology - Electrician. 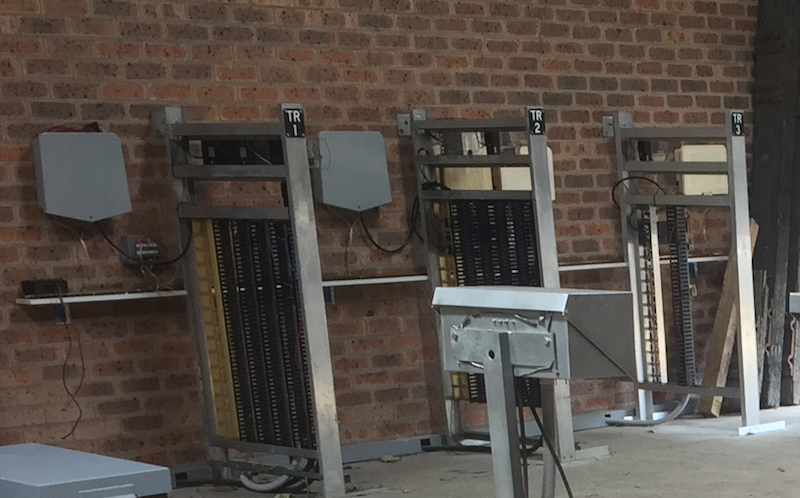 Train Detection equipment, including axle counters, audio frequency track circuits (Jointless), DC track circuits etc. Relay and computer based interlockings installation and maintenance. Telemetry systems maintenance and installation. We provide students with an understanding of and practice in fault finding techniques. 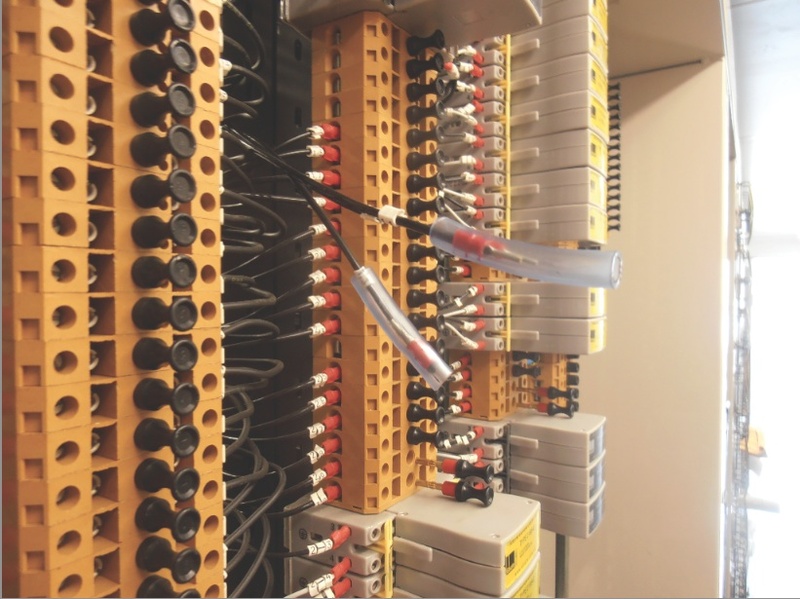 Our Broadmeadow training centre facilities include the simulation of many common rail signalling faults in a safe and controlled environment. At the end of railway signalling training with Competency Australia, signal electricians and technicians will understand the signalling system, not just individual components or equipment. Fault finding techniques employed will demonstrate this signal system understanding. 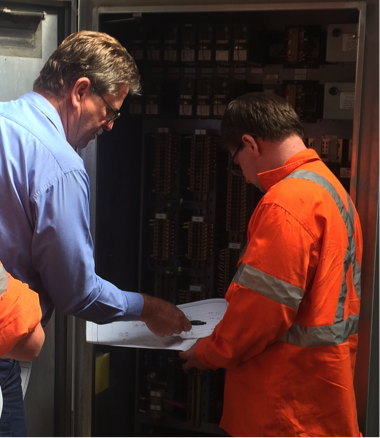 Hands on activities in a simulated rail environment - we have facilities on site to wire up, install, maintain, fault find on real signalling equipment and systems. Do you already have significant railway signalling experience? Contact us to discuss alternatives for Recognition of Current Competence (RCC), Recognition of Prior Learning (RPL) and other assessment options. Our nationally recognised railway signalling training is delivered from our Broadmeadow training centre. The course is also available in Newport (Victoria) for groups. Training and assessment services are also available Australia wide. If you would like railway signal training delivered from your location in NSW, Victoria (VIC), South Australia (SA), Queensland (QLD), Western Australia (WA), Tasmania (TAS), Northern Territory (NT) or Australian Capital Territory (ACT) please contact us to discuss options and opportunities. Please note that access to rail signalling equipment such as signals, point machines, track circuits, level crossings etc will still be required for hands on assessment of practical skills. Our public course commencing February, 2019 is now open for enrolments. This course is open to individuals or groups, however spaces are strictly limited, so please register your interest now to avoid disappointment. If you are interested, please contact us - or phone +612 4040 9110. Courses are also available on demand for groups of 6 or more in Broadmeadow (NSW) or Newport (Victoria), or suitable locations in other states. Would you like to work on the Railway? Then you need this course. 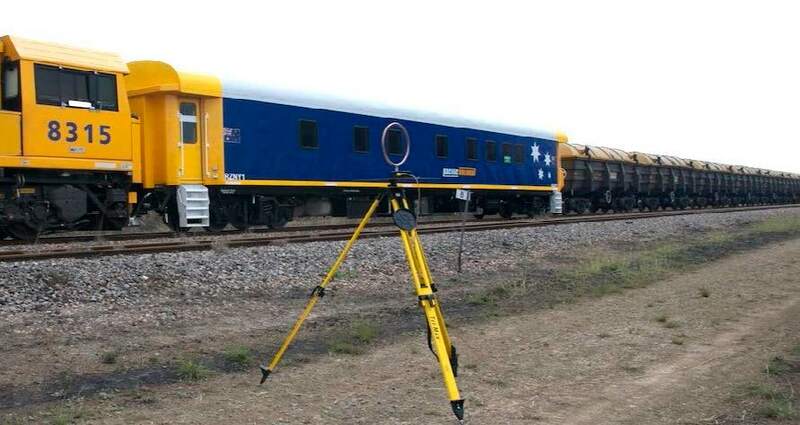 Competency Australia runs TLIF2080 - Safely Access the Rail Corridor at our Broadmeadow (Newcastle) training centre. We also offer training for groups in other locations. Please contact us for more information. 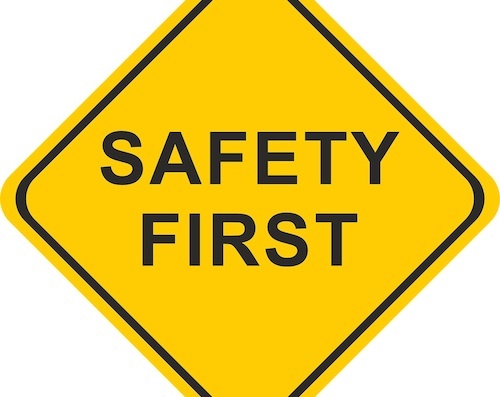 There are many names for rail safety induction - Rail Industry Safety Induction (RISI), Track Safety Awareness, One Track, National Rail Safety Induction. 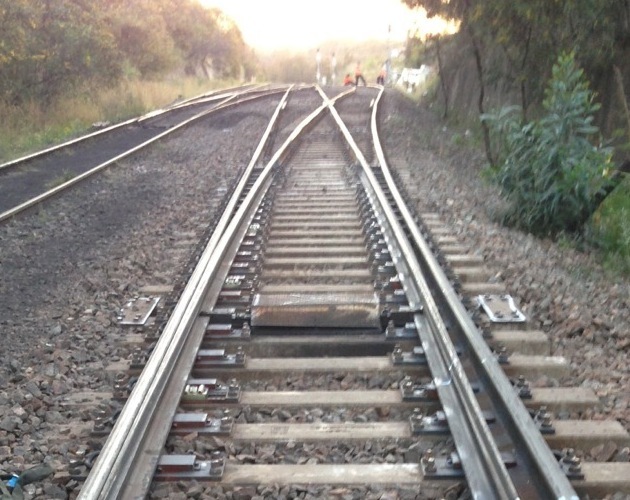 Each rail operator has specific requirements for the induction required before working on their railway. The training provided by Competency Australia a national unit of competency accepted in New South Wales, Queensland, Victoria, South Australia and Western Australia. We are an approved training provider (ATP) for Transport for New South Wales, and offer the Transport for New South Wales approved training package for work in the Sydney Trains and NSW Trains networks. This course was previously referred to as the RISI. We also offer this unit contextualised for the ARTC network and approved by ARTC. This unit provides you with the knowledge and skills to safely access and navigate the rail corridor. TLIF2080 is a full day course, which includes written and practical assessment. For TfNSW courses, an additional fee of $30 per person is charged. Use PPE conforming to required standards. This course should be attended by all those who wish to enter the rail corridor within Australia. 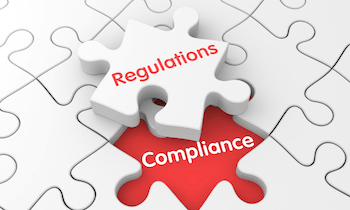 Solve the Regulatory Compliance Puzzle! Recent years have seen major changes in Australian rail regulations, including the introduction of the Office of the National Rail Safety Regulator (ONRSR) and the adoption of the rail safety national law. Do you understand these changes and how they impact on your day to day work in the rail industry? Current national and international standards. Regulatory requirements are brought to life with multiple case studies and practical exercises. TLIF4100 - Identify and meet rail safety regulatory compliance requirements. This unit can be used as direct credit towards TLI50615 Diploma of Rail Operations Management. Without communication railways don't operate! Communication is an essential component of any railway system. It affects every aspect of every railway, whether freight, passenger, metro or light rail. Which train; which load; where is the train going; who are the crew; when is it to leave? These are just some of the questions that arise for every journey. In this nationally recognised training course we look at communication from a railway operations viewpoint, applying rail communications systems. The course includes preparing to apply rail communications systems, recording and logging communications and ensuring safeworking systems are incorporated into communications systems. There are no pre-requisites for this course. You may complete it alone or as a part of a diploma. This course is a core unit of TLI50615 Diploma of Rail Operations Management and covers the management of rail infrastructure and operational assets. Impacts of safety requirements on rail network are identified, explained and taken into consideration. 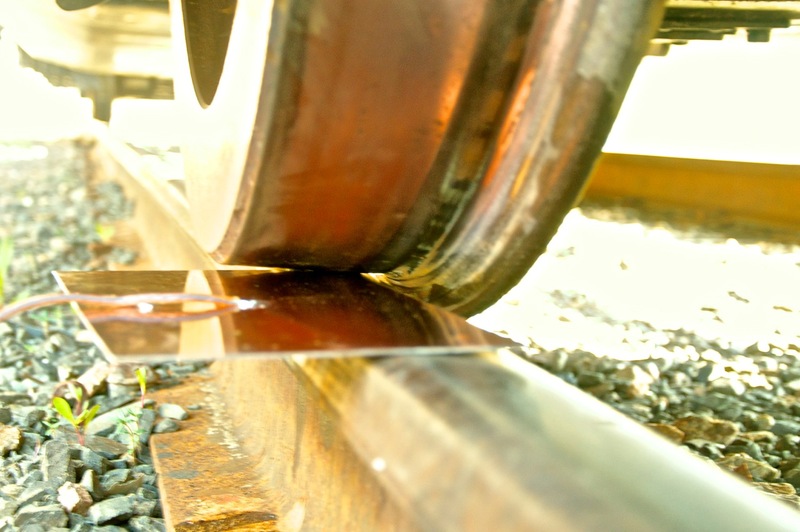 Methods for maintaining rolling stock wheels. Apply investigation techniques in the context of the railway. analyse information and prepare compliant rail safety investigation reports. UEENEEE101A - Apply Occupational Health and Safety regulations, codes and practices in the workplace provides an understanding of the requirements of OHS/WHS and how they apply to various electrotechnology work functions. 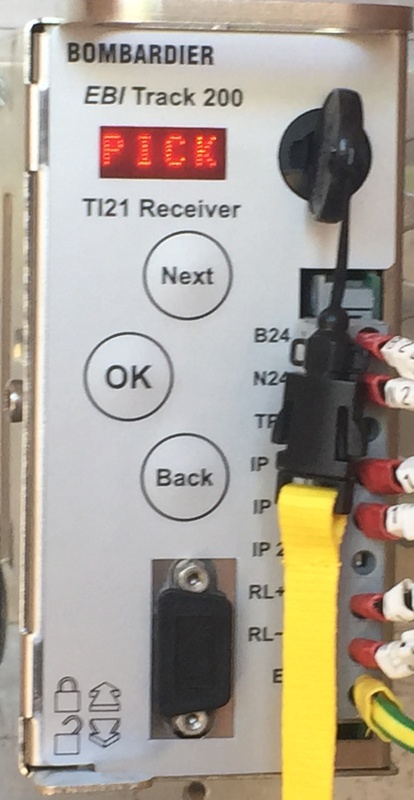 This unit of competency can be completed as a stand-alone unit or as part of the qualification UEE41211 Certificate IV in Electrical - Rail Signalling. Group training sessions are available on demand. Please contact us for more information or to organise a training session for your team. Our rail operations, rail infrastructure and network control courses are perfect for those moving into rail from other industries as well as those who have been employed in the railway for some time and are looking to further their careers or obtain formal recognition of skills and experience. We have short courses, 13-week courses and a 12 month Diploma on offer. We can also tailor or develop rail operations, infrastructure, network control and investigation courses to meet your specific needs. Click on the + buttons below to find out more about each of the courses. 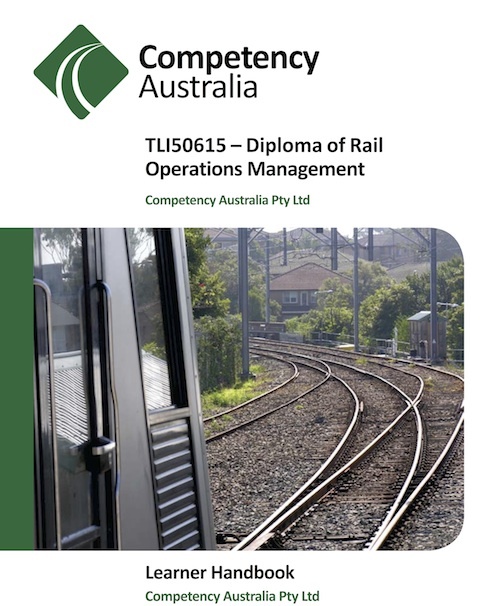 TLI50618 - Diploma of Rail Operations Management is the only nationally recognised Diploma level qualification in Rail Operations Management available in Australia. Why not enrol in this course and take your career in the railway to the next level? The course is suitable for those currently employed within the rail industry and is structured for individuals who are working full time. The qualification is delivered via distance learning, carried out over a 12 month period. Each of the 3 sessions is 13 weeks in length. The 14 units of competency within the qualification will provide you with knowledge and skills across a range of areas from the wheel-rail interface to rail safety investigation to train planning and crewing. Download our information booklet below for more details of the topics covered in each session. During each session, students will be required to complete a range of regular assessment activities, including work place activities and research projects. They will also be required to respond to case studies and hypothetical situations. Communication with the tutors is through a combination of email, telephone, web-based forum and skype. Early Bird and Group Discounts are available. Introduction to Rail Operations Management is a training course designed to provide a broad introduction to rail operations. It can be undertaken as a seperate non-award course or as part of the nationally recognised qualification TLI50615 - Diploma of Rail Operations Management. This course is perfect for those interested in the Diploma course but not ready to commit to the 12 months of study. Direct credit towards TLI50615 - Diploma of Rail Operations is gained through completion of the course. Introduction to Rail Operations Management can also be studied as an elective for the QUT Masters of Engineering (Railway Infrastructure) course. Engineers working in the rail industry looking to development their understanding of the business and operational aspects of railways. Managers who would like to broaden their knowledge in the area of rail operations. There are no formal pre-requisites for this training course. Introduction to Railway Operations Management is delivered by distance education, with electronic submission of assignments and live on-line tutorial sessions. This is a single term course, with a total of thirteen weeks of study. Assessment is based on weekly work activities and assignment submissions. As you progress though this course you will develop a better understanding of the specific challenges and facets of rail operations management. Railway Infrastructure is a training course designed to provide engineers and managers with an understanding of rail infrastructure within the context of rail operations management. It can be studied as a stand alone course or as part of TLI50615 - Diploma of Rail Operations Management. Railway Infrastructure can also be studied as an elective for the QUT Masters of Engineering (Railway Infrastructure) course. Railway Infrastructure is delivered by distance education, with electronic submission of assignments and live on-line tutorial sessions. This is a single term course, with a total of thirteen weeks of study. Assessment is based on weekly work activities and assignment submissions. The course has been structured to cater to those working full time. As you progress though this course you will develop an understanding of the key aspects of rail operations asset management. Network and Localised Train Control is a training course designed to introduce the main principles of train control systems and train control centre management. It can be studied as a stand alone course or as part of TLI50615 - Diploma of Rail Operations Management. Network and Localised Train Control can also be studied as an elective for the QUT Masters of Engineering (Railway Infrastructure) course. 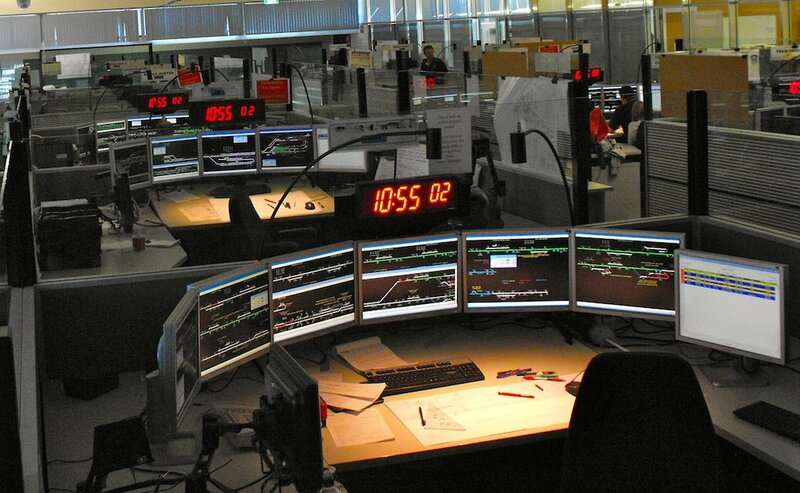 Engineers working in the rail industry looking to development their understanding of the business and operational aspects of Train Control centres. Managers who would like to broaden their knowledge in the area of train control. Introduction to Railway Operations Management is delivered by distance education, with electronic submission of assignments. Emergency planning, preparedness, response and recovery. Rail Safety Investigation and Reporting. As you progress though this course you will develop a better understanding of fundamentals of train control. We offer signalling training which includes ST144 ARTC Signal Safeworking Accreditation and Re-accreditation (ST144, previously ST43), ST43 John Holland CRN Signal Safeworking Accreditation, equipment specific training, technician training as well as courses for field engineers and designers. If you need to renew your signal safeworking training, upgrade to the national ST144 ARTC signal safeworking training, start training as a signal electrician, access signalling locations or learn more about testing and commissioning of signalling systems - we have a course to suit your needs. Many of our signalling courses are private courses run for groups, please contact us for more information or download or information sheets. 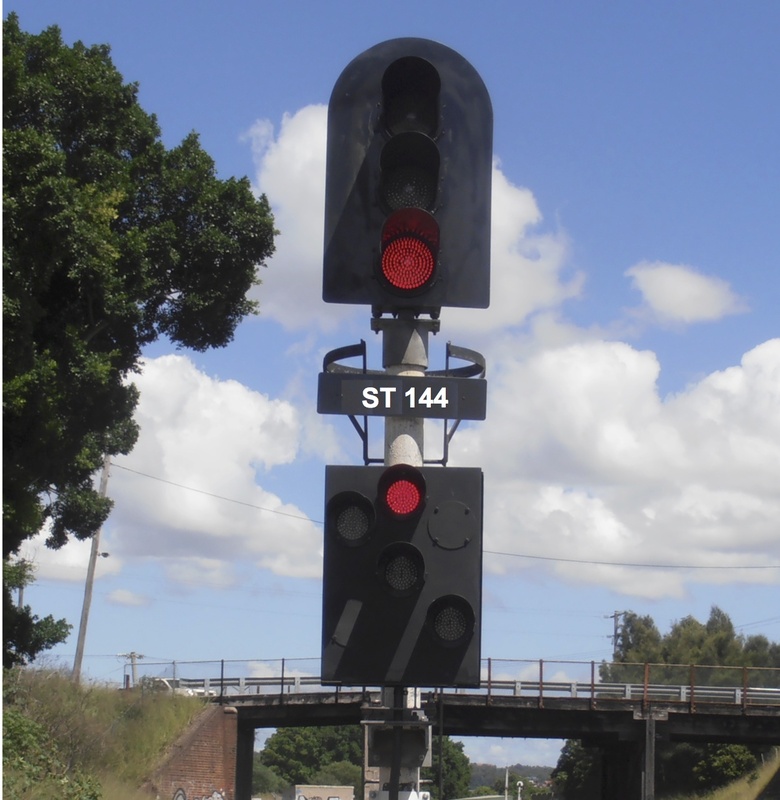 ST144 or ST43 signal safeworking training is mandatory training for signalling roles within the ARTC, Sydney Trains and John Holland railway networks. If your job role includes testing, certification, commissioning, like-for-like change overs, alterations or maintenance of signalling equipment (mechanical or electrical) you must complete ST144 or ST43 signal safeworking accreditation and regular ST144 or ST43 signal safeworking refresher/recertification training. Contact us or view our training calendar for course dates. Email Us to book your place or call (02) 4040 9110. "We would like to congratulate you (Competency Australia) on a very well presented and informative ST 43 Course that myself and one of our Signalling Trainees attended.....Our company will definitely be using Competency Australia for further Staff Signalling Training"
"I really enjoyed the course, I've done many ST43 re-accreds in my 24 years but this was probably the most informative and less robotic course of them all"
"I highly enjoyed the course...Look forward to participating in more hopefully in the future"
"the course was very informative and helpful..it was easy to understand the subjects with the scenario(s)"
This course provides you with current knowledge of ARTC National Signal Safeworking Standards and procedures. 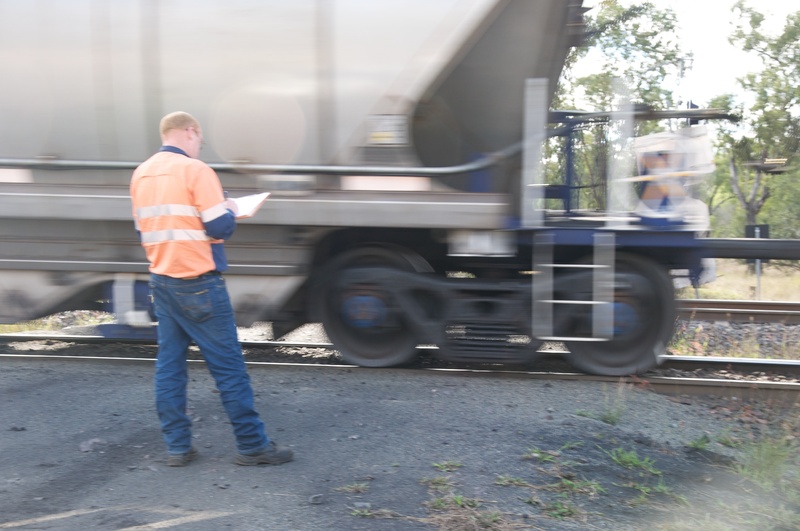 ARTC ST144 national signal safeworking (ST43/ST144) accreditation is a 4 day certification course. 2-day ST144 signal safeworking reaccreditation courses are also available through Competency Australia. You can upgrade directly from your existing ST43 certification with a 2 day ST144 national course - existing competency holders do not need to complete a full national ST144 accreditation course. This course has now been updated to cover not just NSW but also all other states as required by ARTC, including VIC, SA and WA. An understanding of signalling systems and principles is assumed. In order to complete ST144 ARTC National Signal Safeworking 2-day recertification course, evidence of completion of the original course and subsequent refresher courses must be provided. Our students are provided with the skills, not just the knowledge, to carry out safeworking activities. Our training includes multiple practical demonstrations - students will practice physical disconnections and reconnections on real signalling equipment in a safe environment, completing supporting safeworking documentation as they go. 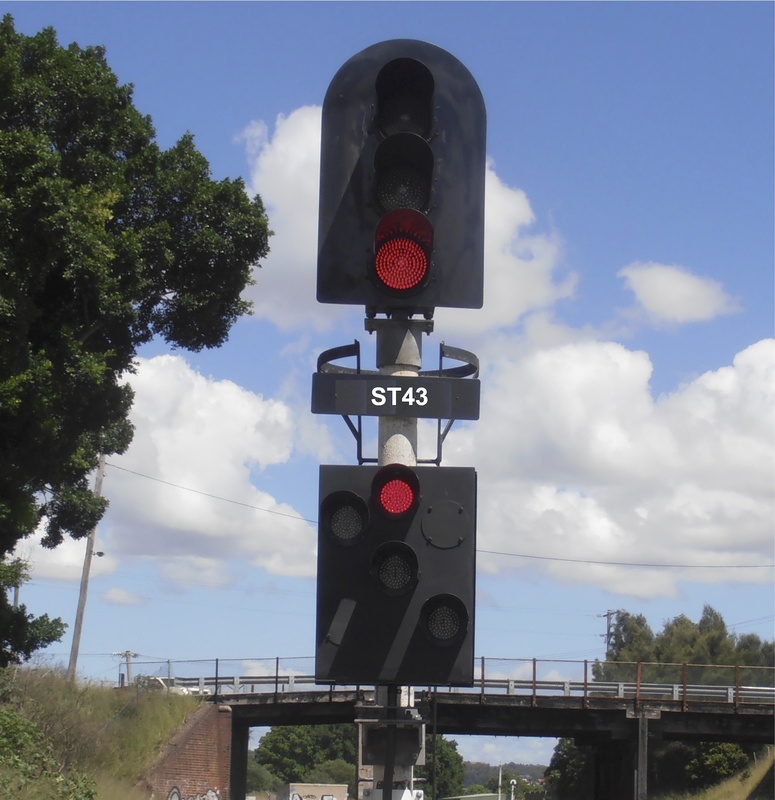 ST43 or ST144 signal safeworking training is mandatory training for signalling roles within the ARTC, Sydney Trains and John Holland railway networks. If your job role includes testing, certification, commissioning, like-for-like change overs, alterations or maintenance of signalling equipment (mechanical or electrical) you must complete ST144 or ST43 signal safeworking accreditation and regular ST43 or ST144 signal safeworking refresher/recertification training. This course provides you with current knowledge of John Holland CRN Signal Safeworking Standards and procedures (also referred to as Manual J). John Holland CRN signal safeworking (ST43) re-accreditation is a 2 day recertification course. 4-day CRN ST43 signal safeworking accreditation courses are also available through Competency Australia. Previous completion of John Holland CRN ST43 is required for reaccreditation. In order to complete ST43 John Holland CRN Signal Safeworking 2-day recertification course, evidence of completion of the original course and subsequent refresher courses must be provided. Reaccreditation is required every 3 years. Now Available Through Distance Education - Please contact us for more information. Competency Australia runs Working in Live Locations at the Broadmeadow training centre on demand. This course is now available through distance education, and we also offer training for groups in other locations. 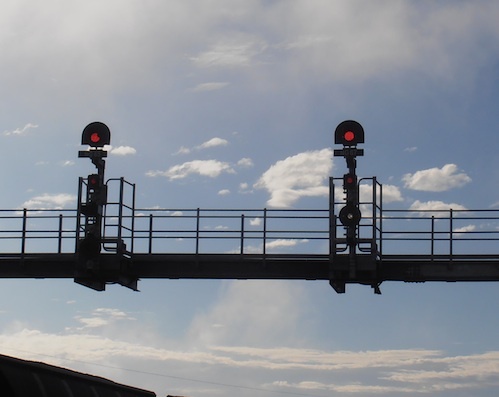 This course is designed to provide workers with the knowledge and skills to work safely in a live signalling location and is a mandatory pre-requisite for many of the ARTC signalling competencies. This course has been designed for people with limited signalling knowledge, who are required to access live signalling locations to carry out their work. This course is also required to obtain an ARTC Signalling Statements of Competency (SoCs) for work carried out in live locations. Working in Live Signalling Locations is a half-day course which includes practical and written assessment. Certificate upon successful completion of the course. What to do in the case of an incident. Identify and mitigate the personal risks including electrical hazards. Identify and mitigate the signalling infrastructure risks involved when working in a live location. Leave the signalling location in a clean and tidy state. Apply the appropriate responses should there be accidental interference with the signalling infrastructure. The install and wire rail signal equipment course is for Certificate III Electricians wishing to specialise in rail signalling. The nationally recognised units are suitable for those working as signalling tester/installers who require formal recognition under the Australian Qualifications Framework (AQF). Install and Wire Rail Signal Equipment is suitable for tradespeople such as electricians, signalling installers/certifiers, signal technicians, signal electricians and apprentices. If you have experience in rail signalling but no formal education, this course can provide you with the skills and knowledge to further your career and job opportunities. With the wider adoption of national Rail Safety Law, many operators now require nationally recognised unit for those undertaking rail signalling installation roles. 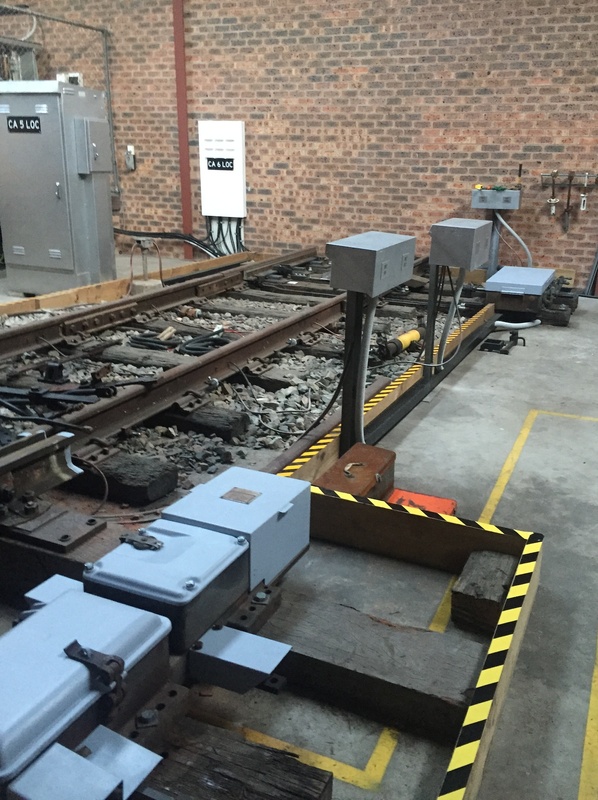 Hands on assessment activities in a simulated rail environment - we have facilities on site to wire up, install, maintain, fault find on real signalling equipment and systems. 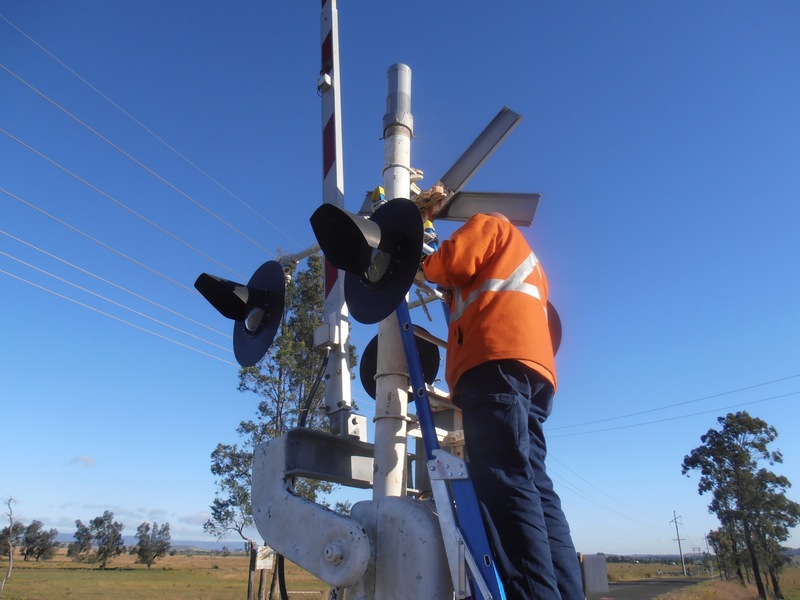 Our nationally recognised railway signalling training is delivered from our Broadmeadow training centre. Training and assessment services are also available Australia wide. If you would like railway signal training delivered from your location in NSW, Victoria (VIC), South Australia (SA), Queensland (QLD), Western Australia (WA), Tasmania (TAS), Northern Territory (NT) or Australian Capital Territory (ACT) please contact us to discuss options and opportunities. Please note that access to rail signalling equipment will still be required for hands on assessment of practical skills. UEENEEN121A - Repair rail signalling power and control cables. Please note that evidence of completion of all pre-requisite units must also be provided prior to the issue of a Statement of Attainment. 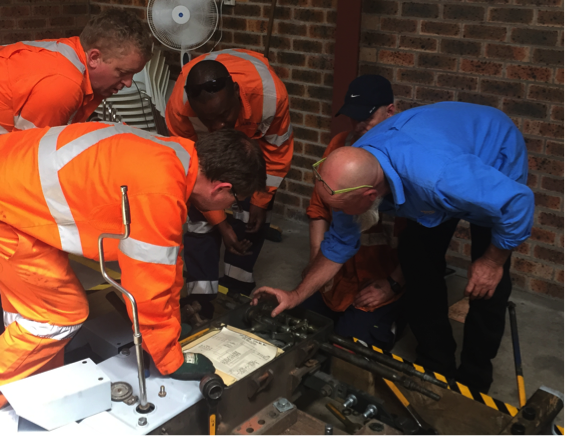 This short course provides maintainers with the knowledge and tools they need for first line maintenance of Ruggedcom equipment in railway signalling locations. Ruggedcom First Line Maintenance is a one day course. This includes theory, practical demonstrations, "hands on" practice and assessment. 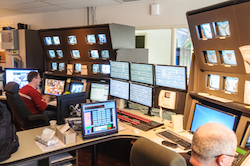 The Competency Australia learning lab has equipment set up in a signalling environment. Familiar surroundings and equipment but in a safe environment where mistakes help you learn, with no impact on a live railway. You will find and clear faults in our training lab as you learn, using simple tools and your laptop. Courses are run for groups on demand. Contact us for more information. 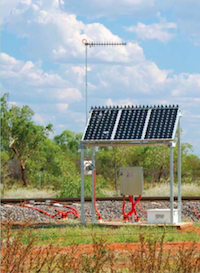 Competency Australia provides rail signalling testing training with a difference. Along with robust theoretical training components you will have the opportunity to practice your skills on a live signalling systems. Previous providers have supplied class-room only training, with no practical component, leaving individuals lacking confidence in the application of their newly attained knowledge. We ensure that all students have the opportunity to test and fault-find in a safe and supportive environment. Function testing of signalling equipment. This short course provides signalling maintainers and installers with the skills and knowledge to perform basic setup, maintenance and fault finding on Bombardier TI21 EBI200 Audio Frequency Track Circuits. This is a two day course. This includes theory, practical demonstrations and "hands on" practice. Audio Frequency Track Circuit components - Tuning units, bonds, transmitters, receivers and matching units. All training activities include a strong practical component. 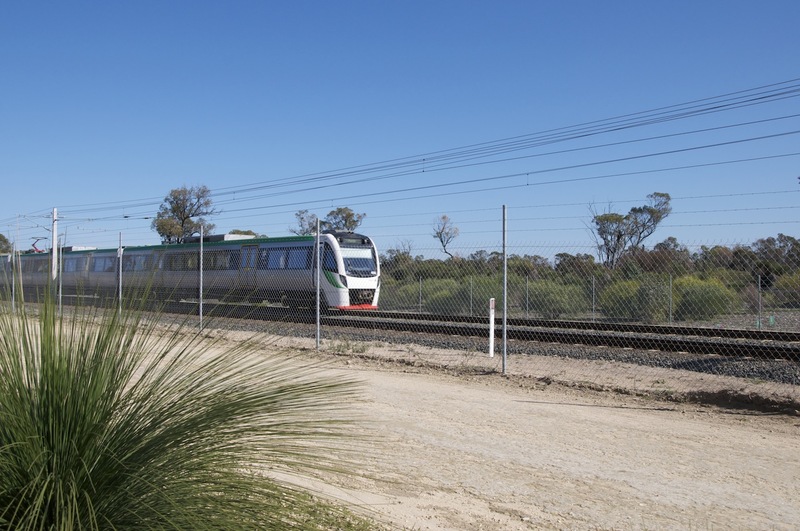 Our railway signalling training is delivered from our Broadmeadow training centre. Training and assessment services are also available Australia wide. If you would like railway signal training delivered from your location in NSW, Victoria (VIC), South Australia (SA), Queensland (QLD), Western Australia (WA), Tasmania (TAS), Northern Territory (NT) or Australian Capital Territory (ACT) please contact us to discuss options and opportunities. Courses are available on demand for groups of 4 or more. This short course provides signalling maintainers and installers with the skills and knowledge to perform basic installation, maintenance and fault finding on Westinghouse (Siemens) M3A and D84M points machines, spherolocks and claw locks. The course covers both the mechanical and electrical aspects of point operation and maintenance. This is a three day course. This includes theory, practical demonstrations and "hands on" practice. Fault finding - typical symptoms and their causes. In this course you will gain an appreciation for the principles underlying all modern signalling systems. You will learn how systems have evolved over time and the fundamentals on which each system is built. This course is suitable for anyone wishing to learn more about the field of railway signalling, including technicians, designers, engineers and project managers. Group training sessions are available on demand and can be delivered in your workplace. Please contact us for more information or to organise a training session for your team. We offer safety training for a range of rail safety workers, including technicians, engineers and safety professionals. Our courses range from practitioner training in Engineering Safety Management (iESM) to induction training for track access to highly specialised Signal Safeworking Training. We offer nationally accredited, internationally recognised and rail operator approved training to industry. Course formats include face to face training, hands on practical training, private and public courses as well as online, self paced options. Click on the + icon below to expand and read more about each course or go to our course calendar for dates. You can book now and pay later, or complete a secure online credit card payment now. Our trainers include experienced professional engineers with high levels of expertise in safety in design, electromagnetic compatibility (EMC) and communication systems. 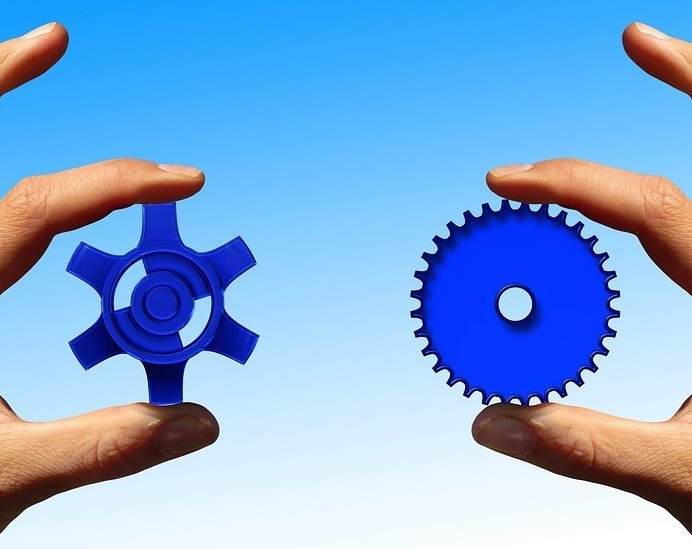 We provide training in engineering concepts for non-engineering staff such as project managers, as well as specialised training for engineers in specific technologies, equipment and systems. Along with our current courses, we also develop and deliver tailored training to meet your organisation's needs - please contact us to discuss suitable packages. A cigarette lighter causes a car park barrier to open, a digital TV set top box initiates an air-sea rescue...the result of electromagnetic interference can seem strange and unpredictable - but is it really a mystery? In this course we explain the fundamentals of Electromagnetic Compatibility - what it is, why it's important, and how to know when you have it. This course introduces the main principles of Electromagnetic Compatibility (EMC) within the railway context. It aims to provide project managers and others working on railway projects with an understanding of the importance of EMC. Railway Electromagnetic Compatibility is a one day course. The training is focused on principles and practical application, and aims to provide an understanding of how EMC impacts every rail project. Please contact us for more information, including course dates and costs. Electromagnetic Compatibility - What is it, and why should I care? Sources of EMC, including traction power and locomotive systems. What can go wrong and how to prevent it - the effect of EMC on systems. 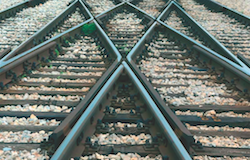 Apply a systems thinking approach to the management of railway projects. You will be provided with the tools to ask the right questions of the right people at the right times and avoid the delays and costs which a lack of electromagnetic compatibility can cause. John Aitken has vast knowledge and experience in broadcasting, EMC and telecommunications systems. He has been involved in the majority of the railway radio communication systems that have been implemented in Australia in the last thirty years. His commitment to training in the railway industry led him to becoming the principal author of the Central Queensland University railway telecommunications course (CPD7 within the Graduate Diploma in Railway Signalling and Telecommunications). John is a trainer and assessor for Competency Australia and manages the development and delivery of our communication courses. 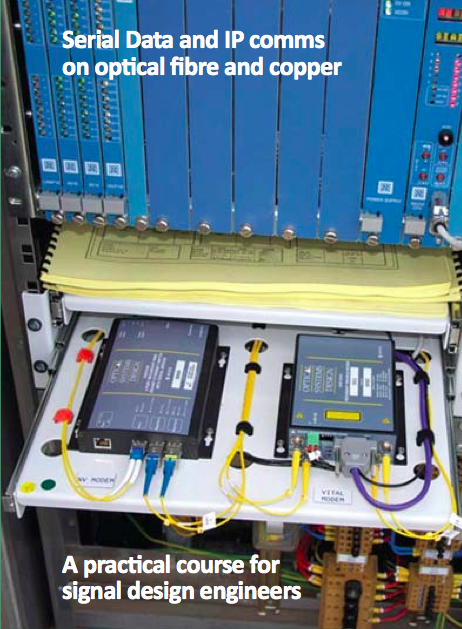 Railway communication systems adapt standard technologies for optimum performance in the railway environment. Railways have clusters of dense activity, separated by corridors with sparse activity. Railway Communication Systems is a training course designed to facilitate understanding of how communications techologies can be applied effectively and safely in the railway environment. Anyone who wants to gain a better understanding of railway communications systems. The course is practical in outlook and application. There are no formal pre-requisites for this training course. The course assumes some communications engineering knowledge but is focused on applications. Railway Communication Systems is delivered by distance education, with electronic submission of assignments. The course is self-paced, however we recommend ten weeks of study material followed by four weeks for project work. Assessment is based on assignments and the project. As you progress though this course you will develop a better understanding of the technologies and systems used for railway communications. These technologies are put together in a project where you will work to produce a conceptual design for a new railway. This course focuses on the application of technologies in a safe and effective manner. It provides a structure and opportunity for participants to gain domain and engineering knowledge in the railway environment. John will help you develop your understanding of communication systems and safety, particularly in the railway environment. He has had broad experience of communication system and equipment design, manufacture, installation and maintenance both in railways and in other industries. The reason for particular systems (“the why”), and the fundamental principles on which they are based (“the how”) are the essence of John’s approach to training. There are no formal pre-requisites for the course. Graduate level electrical engineering knowledge is assumed but concepts are explained from first principles. Vital communications design for railways is a three-day course. This includes practical demonstrations, course workbook, final assessment, and a certificate upon successful completion. We run public courses or can arrange delivery in your workplace – contact us for more details. Serial data characteristics, message construction, integrity. Buffering, latency, packet loss, packet identification. Serial data interface standards: RS-232, RS-485 and their current equivalents. How many wires do you need for each interface and what do they do? Isolation, ground references and signal return. IP protocols - TCP and UDP. Addressing, packet delivery principles. Latency, Time to Live, round trip time, error detection and correction. Ports and sockets. Conversion from serial interfaces to IP. Copper cable characteristics: including twisted pair, Cat 5 etc, shielding and grounding. What limits cable length. Copper link design. Optical fibre characteristics: single mode, multimode, reflection, refraction, dispersion. Basic optical link design. System design for resilience. Implementing serial data and IP systems. Addressing, protocol conversion. Typical data requirements. 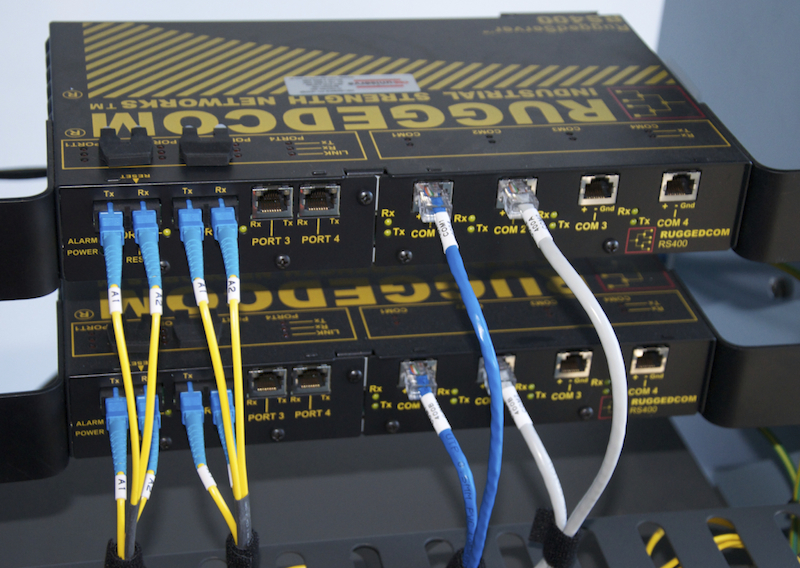 Practical exercise designing, building and testing a system with optical fibre and IP connections. Fault finding and data log analysis. On the successful completion of this course, you will have learned how to design and document vital communication systems operating on copper and optical fibre media. You will understand serial communication interfaces, IP connections, basic optical system design, implementation and testing. Your confidence in working with these systems will be based on understanding the principles and hands-on exercises. 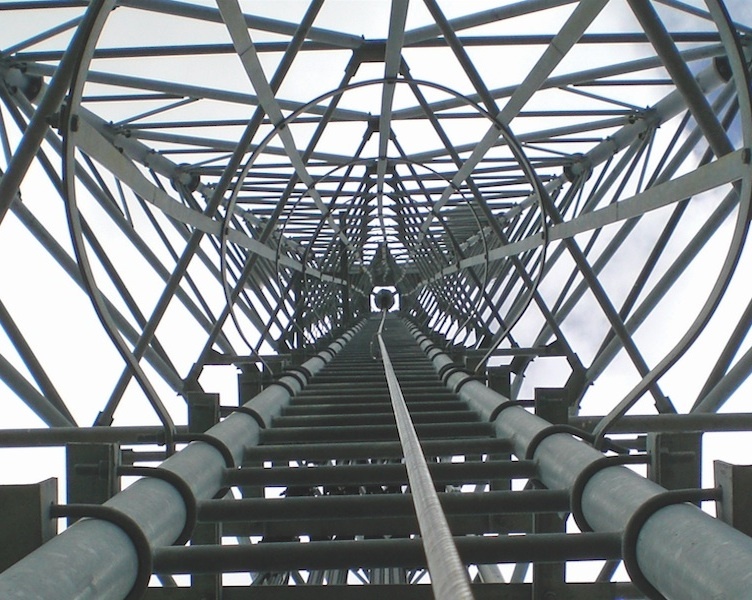 Signal designers, design verifiers, installers and commissioning engineers. Learn how to maintain optical fibre systems, how to find and fix faults in the railway environment. This training course is tailored especially for railway signal maintainers. The course starts with an overview of optical systems, the different types of fibres and different types of connectors. There are many safety considerations when working with light and glass so these are carefully explained and demonstrated throughout the course. The very different characteristics of single mode and multimode optical fibres are reviewed, with some exercises testing to see what happens when you connect them together. Does it work? Is it a good idea? Fibre systems need to be clean to operate properly, which can be difficult in a railway environment. So we learn in this training course how to clean connectors and sockets, using a microscope to see whether the connector is really clean. Each person will then measure the loss through the cable system that they have cleaned, to see whether it is correct. This is practised so you can clean fibres reliably when trackside, at night and without a microscope. Often patch leads are difficult to indentify and hand tracing is not an option in some locations. Visible light sources can make this easy, so we use a light source for some fault finding and to understand the effect of sharp bends on optical fibres. The training course concludes with some fault finding exercises using optical fibre based railway signalling equipment and the tools you are likely to have on site. These exercises are designed to help you gain confidence and understanding for the next time you are called out to an unfamiliar site. No previous training or experience in optical fibres is required for this course. Some knowledge of railway signalling systems is assumed but is not essential. Competency Australia runs this course at our Broadmeadow (Newcastle) training facility. We can also run the course at your location, provided you have enough people enrolling. Please see our Training Calendar for course dates. We provide introductory courses and induction training, including mandatory track access training (required before entering the rail corridor). Working in Live Signalling Locations is a requirement for many ARTC and Sydney Trains signalling roles (SoCs) as well as for Trades and Assistants and activities which require access to live locations but are not signalling related - for example, air conditioning servicing and repair. CPCCOHS1001A - Work safety in the construction industry is a requirement for accessing the rail corridor.